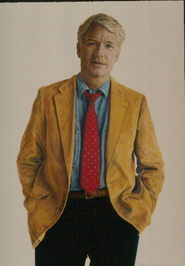 New Jersey born author Robert Saniscalchi returns to his 2010 debut novel with editorial enhancement by Autumn Conley and portions of the book embellished for the progress of the story. He subsequently published BULLETS AND BANDAGES (inspired by his older brother who was a field medic Vietnam 68-69) and FREEEDOM’S LIGHT (addressing the wars in Afghanistan). 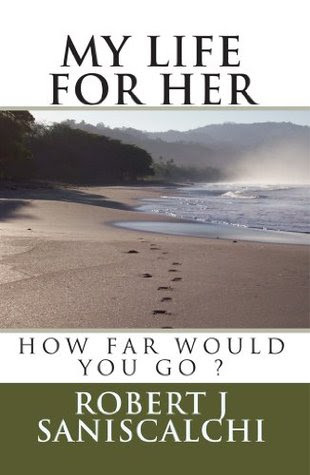 Now MY LIFE FOR HER is placed before readers as a more polished novel that reflects the impact of the Vietnam War and the interaction of a veteran as a policeman fighting the drug cartels. Robert lives in both Pennsylvania and Florida. Robert opens this story of Vietnam War veteran medic who has returned home to Pikeville and has become a police officer. The mood Robert establishes is sensitive and reflective: ‘Rob Marrino had sensed something odd yet familiar, that same old feeling that his life had circled back to the same time and place he had been before. The day was bright, the air fresh and invigorating. He had hoped that was a sign of a new beginning. Now, he had to wonder about that. It was Rob’s day off after his first week back to work in three months. A chain of events started in May; one he was struggling to forget. Thankfully, he was doing much better now, with the help of his doctor, his loving family, and the medication….Now he sat admiring the mirror finish on this freshly waxed and detailed Mustang. Over the years, he had enjoyed working on the car, keeping it clean and tuned up. The car was a gift he bought for himself after making it through the bullets and bandages of the hell in Vietnam. The 1969 Mach 1, metallic red with flat black trim, was Rob’s pride and joy, so he stored it safely in the garage and drove his old but reliable Chevy pickup most of the time. On summer weekends, whenever they had the chance, Rob and Beth Anne, his better half, dropped the kids off at Grandma’s house, then cruised on down to the shore…’ The setting is well-established Americana, and then the story takes flight. Many aspects of the story seem tied to fact – Pikeville is in New Jersey, Rob is a veteran medic like Robert’s brother – and that is one reason the theme feels true. But the quiet opening soon changes – Rob is involved in the arrest of drug runners from a Colombian cartel that subsequently kidnapping Beth Anne to Colombia and Rob and his fellow veteran friend Tex travel to the jungles of Colombia to rescue her. There is considerable violence - torture, murder, explosions, etc that at times mirror the bad memories of the Vietnam experience. Not having read the original book, which apparently cried for a rewrite, this reader found the story intense and involving and a fine speedy read. Will we ever reach a period when previous wars do not permanently impact both veterans and their families as in PTSD et al? Likely not until wars go away. We go on.